Khaled Hosseini is the author of The Kite Runner, which was a major film and was a Book of the Decade, chosen by The Times, Daily Telegraph and Guardian. 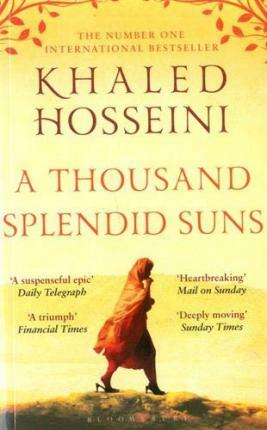 A Thousand Splendid Suns was the Richard & Judy Best Read of the Year in 2008. And the Mountains Echoed was chosen for the Richard & Judy Summer Book Club in 2014, and readers voted it as their favourite of all the titles. Hosseini is also a Goodwill Envoy to the United Nations High Commissioner for Refugees, the UN Refugee Agency, and the founder of The Khaled Hosseini Foundation, a not-for-profit organisation which provides humanitarian assistance to the people of Afghanistan. Sea Prayer, his fourth book, was inspired by Alan Kurdi, the three-year-old Syrian boy whose body washed upon the beach in Turkey in September 2015. Khaled Hosseini was born in Kabul, Afghanistan, and lives in northern California.